Kawasaki are the masters of anything on two wheels. Speed, power and excitement are at the forefront of all their designs - just take a look at any one of their superbikes and you won’t be disappointed. Now they have turned their hands to a smaller, more commercial vehicle and you might be surprised by the impressive outcome. Their latest design is this amazing Hoverboard. 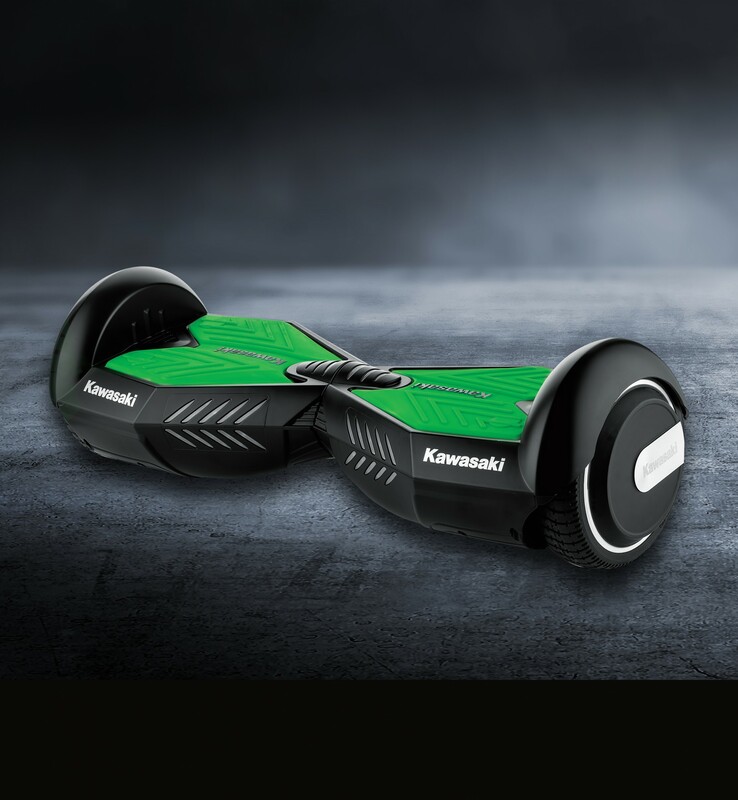 Not only does it look like something from a sci-fi movie, but this new and exciting balance board comes with a striking angular design, bright LEDs and the classic black and green colour scheme that Kawasaki are famous for. The incredible build quality makes it a dream to ride too, with a top speed of 12kmph and a maximum range of 20km, there’s more than enough power to get you around town in style and a third of the way around the Isle of Man TT. Riding a hoverboard is not only easier and safer than a motorbike, they are kinder to the environment too. Simply step onto the Hoverboard and you are pretty much ready to go. Intelligent built in sensors track your centre of gravity so they quickly and seamlessly react to every movement you make, creating a fluid connection between yourself and the board. Gently push your weight into your toes to move forward, lean left to turn left and right to turn right. Getting used to Hoverboards can take a little bit of practice but once you’ve cracked it, there’s not much that can beat it. 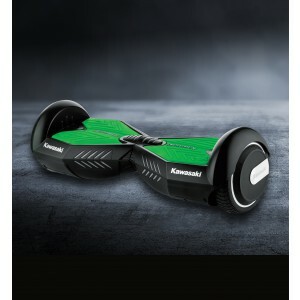 Each Kawasaki Hoverboard comes with a fully tested and certified 158.4wh Samsung battery to power the two 250W motors and is easily recharged with the included plug. Chunky 6.5 inch tyres and the brushless motors make travelling a breeze and the Kawasaki can even take on gradients as steep as 15°. Whether you live in the hills of the peak district or the flats of the coastline, this is the ultimate way to get around. So if you are looking for an incredibly well built, stylish, reliable and powerful Hoverboard, then surely there’s no brand to go with other than the legends that are Kawasaki.